the profitabiliy of your practice. We’ll help you increase your clinic's income without having to fear an audit. Your perfect defense for an insurance audit! Unique solutions designed to keep you ahead of the game. Affordable patient documentation solutions designed specifically for chiropractic offices. 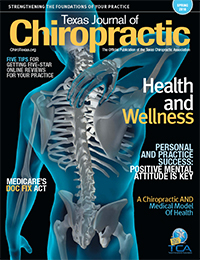 the Texas Journal of Chiropractic. Grow your clinic with peace-of-mind. The Collection Coach is dedicated to helping chiropractors maximize their income honestly and ethically, through compliant, evidence-based documentation, office compliance plans, and profit rescues. We offer the most comprehensive patient documentation systems for all chiropractic offices. Whether you're using electronic or paper records, we have a solution designed to suit your specific needs. If you are concerned about compliance plans we have a solution for you. Do you want to increase profits without increasing overhead call us today! Are you aware that the OIG is on mission to uncover fraud, waste and abuse of Medicare? Through MAC, RAC, and C.E.R.T. audits the OIG is recovering and huge return on investment. (For every dollar they spend the return is $8.10). Don’t leave in Fear! Know what they are looking for. The Collection Coach will teach you from our evidence based approach how to grow your clinic with peace-of-mind. Get the tools and know-how to maximize your profitability per patient without fearing an insurance audit. Let us help you streamline your patient workflow with our intuitive, simple patient documentation systems. Hear from clinics that are already enjoying the benefits of the Collection Coach. The keys to your success! The Collection Coach has spent thousands of hours researching, planning, and developing a documentation system to simplify your patient workflow and maximize your profitability. Our forms and processes have withstood multiple insurance audits—rest assured, if you have to go through an insurance audit, you will have the right tools. Medicare and insurance documentation are confusing. That’s why The Collection Coach’s SMART Documentation System organizes patient information into a simple, intuitive documentation process while promoting compliant protocols in your office. The protocols are in place to make sure that you meet those requirements on every patient — not just Medicare. If you do the first three steps and do not document correctly, you may find yourself facing a “post payment review” where you may have to give back literally hundreds of thousands of dollars to an insurance company or Medicare. Once you learn how to document your services and code them correctly, your practice will automatically grow because your certainty will grow — these two things are intertwined. In our experience, documenting correctly can solve nearly all of your payment problems. Compliance with the Office of Inspector General (OIG) is mandatory. As part of an office’s “compliance program”, the Office of Inspector General (the governmental agency that oversees CMS or Medicare) requests that each office conduct periodic SELF-AUDITS. The Collection Coach recommends that these self-audits are done at least twice a year to ensure proper documentation and coding compliance. While this sounds like a lot of work, it is better to be proactive than to wait for the OIG or an insurance company to come knocking on your door. Why? Because the OIG reports that any provider that can show a compliance program in place will be dealt with more leniently. That means even if an audit or your notes reveals that you are lacking the appropriate documentation on some dates of service, the penalties and fines will not be as severe. THE BENEFIT of using the Collection Coach’s SMART Documentation System is that you will be doing a “self-audit” on each patient, every time you use the forms. Plus, the SMART Documentation System will always guide you to the most appropriate CPT code to bill. If one of the above quotes sounds like something you would say, you are throwing money away! That is right, in most practices this amount is between 50,000 and 80,0000 dollars per year! You could be leaving money on the table that is rightfully yours. Whenever you provide treatment which manages or stabilizes a patient’s condition, insurance companies, third party payers, and Medicare are required to pay you — but you have to know how to properly document the treatment in the patient’s medical notes. We give you the right tools to protect your practice from an insurance audit. Call us today and learn how we can help your practice earn more and KEEP more. Check out what other chiropractic office managers are saying about The Collection Coach. I have known Kelli Moore for over 15 years and It is my pleasure to recommend her and The Collection Coach. I first met Mrs. Moore when she completed the Certification for Chiropractic Assistants over 15 years ago. 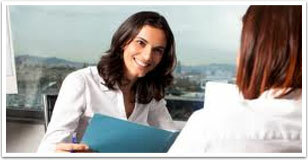 At that time she was already an experienced CA, Office Manager and Insurance coder. Recently, Kelli enrolled in a Masters in Coding class that I also to teach to further her knowledge and stay current. She has recently designed and developed the ‘Collection Coach’ program to help other doctors code and document correctly. I am very impressed with both Kelli and the program. I have referred Kelli and the Collection Coach program to many of my own clients. 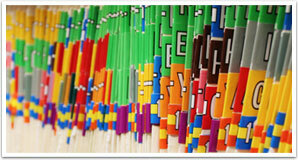 Her system has helped doctors code and document correctly while increasing their collections. These forms are priceless! They not only provide a stable datum from which to operate by, but also peace-of-mind to the doctor and staff that NOTHING in documentation is being missed. What a relief for the doctor who can give all of his attention to the care of his patients instead of worrying if the treatment needed might or might not be billed and documented correctly. Chiropractors have a wonderful power to help people live healthy, drug-free, and pain-free lives. They deserve the peace-of-mind that they aren’t endangered or hindered in this ability. These concise forms enable the office to be legal, allowing them to treat patients stress-free. In August of 2007, I implemented The Collection Coach forms into my practice. These organized and well-planned forms were easy to implement as they seemed to streamline the patient flow. I immediately noticed an increase in production because patients were now on real treatment plans and I wasn’t skipping re-exams. My patients also liked it better because they could communicate their symptoms to me more clearly and they could see their progress at each re-exam. I no longer live in fear of an audit because when you use these forms it is like you looking right at the Chiropractic Services Manual from Medicare. These forms follow that manual that precisely! A few years ago we implemented The Collection Coach forms into our practice — and what a relief!!! Our previous payment problems are all eliminated and we are now getting paid for the care we provide. In fact, it is not uncommon to get more coverage for a patient even after they have reached the soft-cap maximum the carrier imposes. These forms have really helped our doctor — who used to hate to document. He no longer has to bill for what he “thinks” he did and then “hope” he documented it. He simply does the exam or records his daily S.O.A.P. note and then counts the “bullets”. Now my staff and I can perform an “internal audit” on a daily basis. If a patient chart comes to check-out and is not complete, we simply take a highlighter and mark those areas and then put it in the doctor’s box so he can complete it before he goes home. Let’s face it, we all get busy. It is nice to know your office is working as a team for compliance. As an office manager, these forms help us stay organized, and they are very user-friendly and easy to implement. Insurance companies want to see that the care the patient is receiving is, 1). Medically necessary, and 2). There is functional improvement shown and recorded in the notes. Both of those are handled easily with The Collection Couch forms. In 2012 Aetna audited our office. We sent them our files for their review. Thanks to The Collection Coach, we passed our audit with no remuneration. All other Evaluation and Management codes, levels of subluxations adjusted, DME and everything passed in the audit. An auto accident patient came to our office for lingering effects of an accident. The patient had PIP through Farmers. Since there was a FOUR MONTH lapse in care, Farmers refused to pay anything on the case. For over a year the doctor wasted time fighting with the insurance adjuster over the phone. She then sent several demanding letters to Farmers but still did not get a favorable outcome. She sent a letter of complaint to the Texas Department of Insurance. TDI responded that they could not do anything. Just when she was about to give up all hope, last week, she received a call from a peer review doctor from Waco Texas. He explained that Farmers had hired him to perform a peer review of the case. He said, “I am writing in my report that you should be entitled to full reimbursement, as I can see from your chart notes that medical necessity did exist and that the patient’s complaints were a result of the accident.” Then he added, “I don’t know who The Collection Coach is but this is the best, most complete set of chart forms I have ever seen. And I have been doing this for 10 years! I wish all the documentation that I received was as thorough and complete as this. I am using EHR in my office, but if I was on paper, I would call this Collection Coach and get a set of these forms.” Two days later the doctor received payment in full from Farmers! Flexible electronic health record solutions for chiropractic practices. Watch the video below to learn more about The Collection Coach and our SMART software and SMART documentation. Grow your practice with The Collection Coach. Learn how The Collection Coach and our SMART Solutions can help your chiropractic clinic.